Tecnal proposes solutions for sweet and acid wheys recovery and processing. 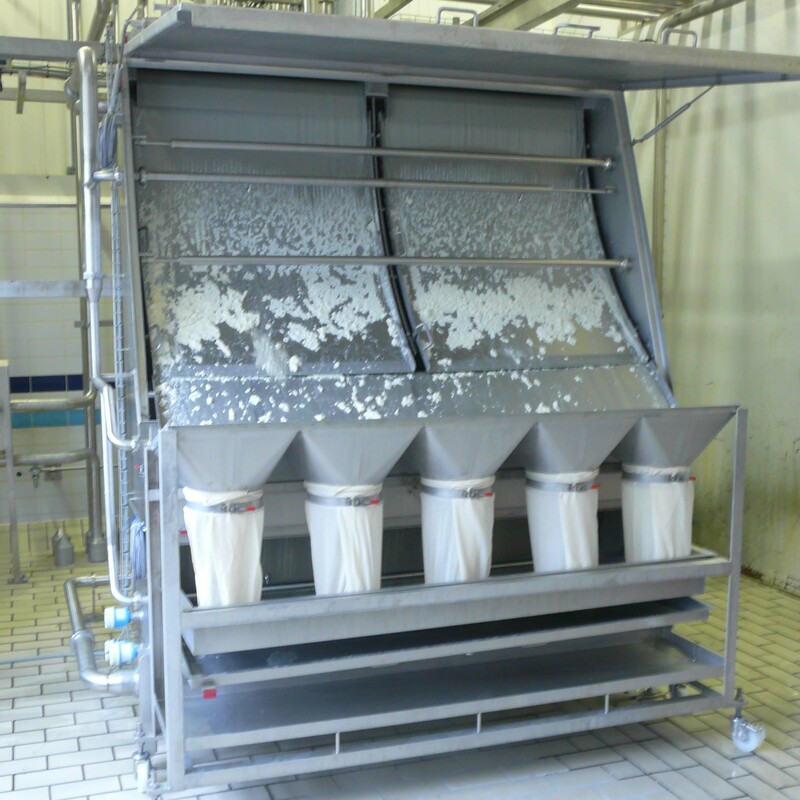 - Text: Perfect separation of whey and curd fines by screening grids from 60 to 120 µm. Flow rates from 10 to more than 30 m3/h.